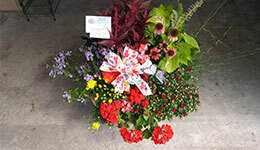 Harvey’s is not only a full service florist and greenhouse, but we also have a large giftshop. Our showroom contains, silk and dried floral arrangements, vintage jewelry, dolls, Tiffany lamps, collectibles, hand-painted furniture and much more. Not matter what the occasion Harvey’s is sure to have a unique and special gift to suit your needs. We have over 5,000 square feet dedicated to our giftshop. 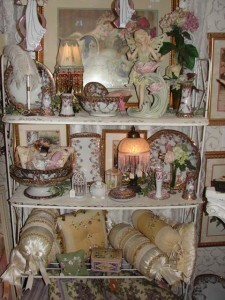 So stop by and browse through our extensive collections. Click here to view a selection of our Bearington Bears selection. If you are looking for one of a kind and unique jewelry Harvey’s has a huge selection of vintage jewelry. 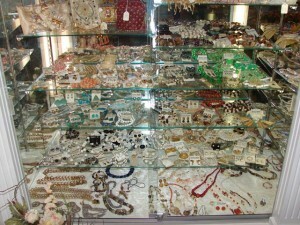 We carry necklaces, earrings, pierced and clip-on and pins. So make a statement with our stylish selection of jewelry. 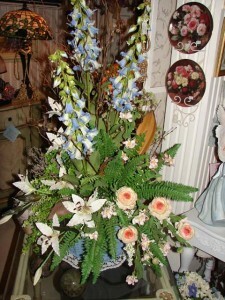 Harvey’s offers one of a kind silk and dried floral arrangements. 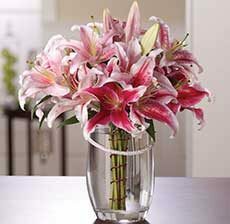 We also carry loose flowers if you want to design your own arrangement. Not matter what your decor we are sure to have something to make your home even more beautiful. Tiffany lamps add instant glamour to any room. At Harvey’s we carry several different sizes and numerous patters. We are sure to have something that will match your decor. When it comes to extra storage why not have something that is functional and decorative. 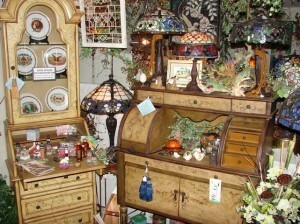 At Harvey’s we carry several pieces of hand-painted furniture. Stop by and check out our selection. 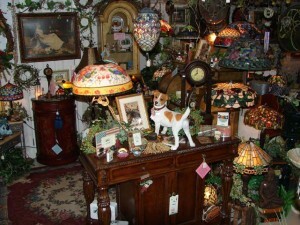 Harvey’s carries a large selection of figurines, glassware, plush items, and other treasures. Whether you are looking for something to accent your home decor or looking for a gift we have many collectible items to choose from. We also carry Bearington Bears. 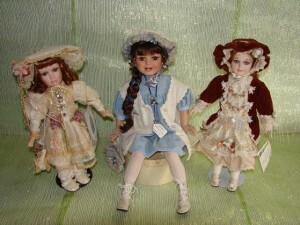 We carry a large selection of porcelain dolls. Whether you are a life-long collector or brand new Harvey’s is sure to have the perfect doll for you.